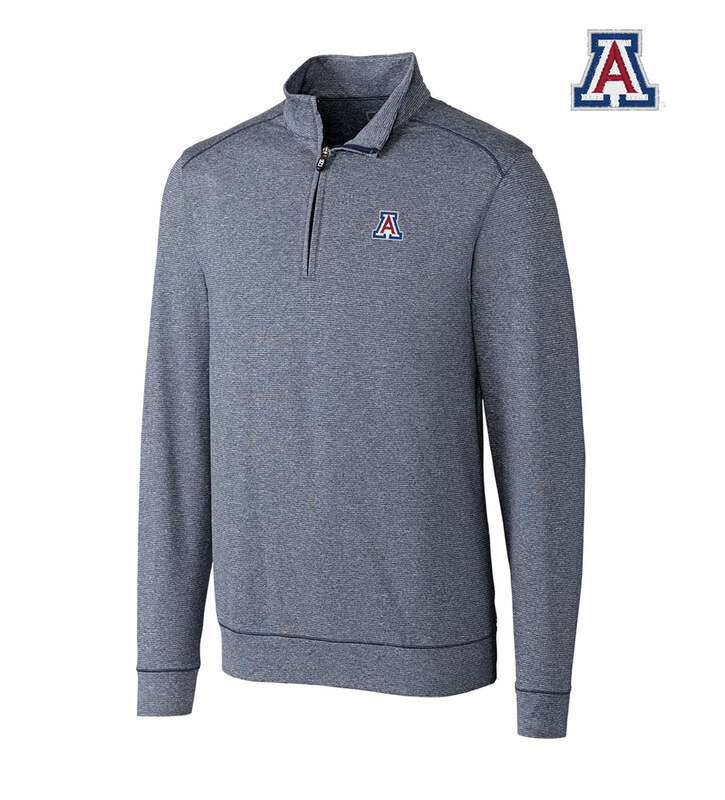 Great for Wildcats game day or any day you need a solid layer with moisture-wicking performance and stretch comfort. A versatile favorite from Cutter & Buck, this soft melange jersey pullover features an officially licensed embroidered University of Arizona logo on the left chest. 92% poly, 8% spandex. Machine wash. Imported.